HEAD PHARMACIST at the Kwesimitsim Hospital in Takoradi, Kwadwo Okyere-Apenteng, has bemoaned the lack of prioritisation of mental health on the part of stakeholders in the health sector. He mentioned that persons with mental disorder can hardly do anything about their condition and, therefore, must be taken care of by the society. “Mental illness is just like any other illness and that condition is not permanent and so persons with mental disorder should not be neglected but should be taken care of,” he added. 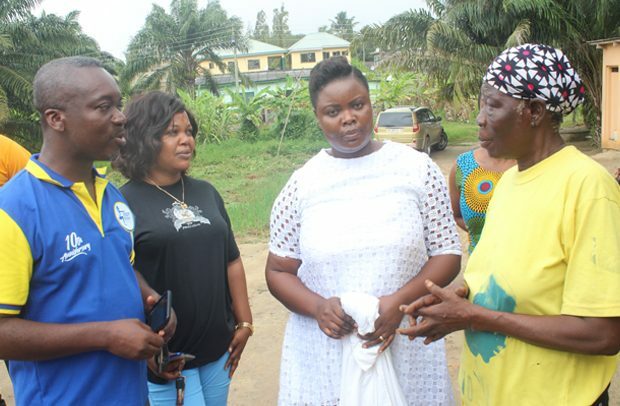 Mr Okyere-Apenteng, who doubles as the chairman of the Body and Soul Aerobics & Fitness Club, said this when members of the club visited Abiba Fuseini, a middle-aged woman who has resolved to take care of mentally challenged in her community. Madam Fuseini has decided to make life a better place for several mentally challenged people roaming the streets of Sekondi-Takoradi by bathing and clothing them. The members of the club donated assorted items, including bags of rice, ‘gari’, sugar, toiletries, clothing, toothpastes and brush, psychiatric drugs, multivitamins and de-wormers worth about GH¢30,000 to Madam Fuseini. The club also donated GH¢1,000 to the one in charge of the ‘mental home’ to support her activities. Madam Fuseini mentioned that she is poised to change the lives and environment of mentally challenged people in the metropolis.“I search for mentally deranged persons to bath and cloth them and then take care of them,” she indicated. She revealed that her only challenge remains how to get access to certain psychiatric drugs for the mentally deranged persons. Madam Fuseini, therefore, thanked members of the club for the support, which she pointed out, would go a long way to help cater for the mentally challenged persons in her custody.